We’ll be in Paris soon, and I’m already daydreaming about what we’ll do while we’re there… First off, I’m trying really hard to look upon the whole flying process as positively as possible. I can sit for 8 hours without a whole lot of trouble – I’ve done it at work for decades, so being on an airplane isn’t that big an adjustment. I can hold hands with Belovedest, relax, and listen to music or some of my favorite apps on my phone. I’ve recently downloaded Insight Timer, which has dozens of guided meditations that are grand for relaxing… and then I can switch to Moz, which is just one long soundtrack of thunderstorms. A bottle of water, some skin serum, and I’m good for the night! 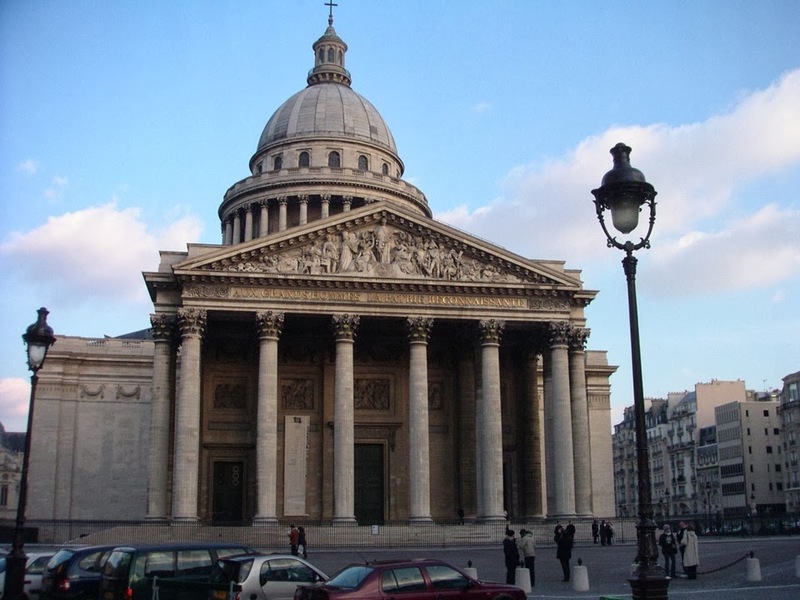 When we arrive, we’ll head to out hotel across from the Pantheon! Depending on timing, we’ll either ditch our luggage and go out for breakfast, or head straight to our room and change clothes, because we’ve got a really busy first day planned. We’ll catch the train to St. Denis to visit the Cathedral. 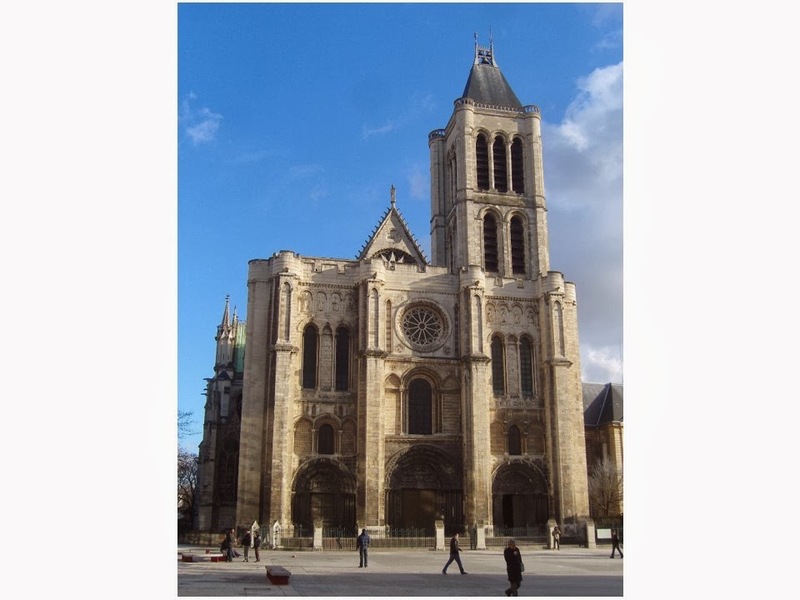 It’s chock full of French history (it was the burial place for many French kings), and it’s considered to be the first truly Gothic structure. I can’t believe that we’ve never been there before. 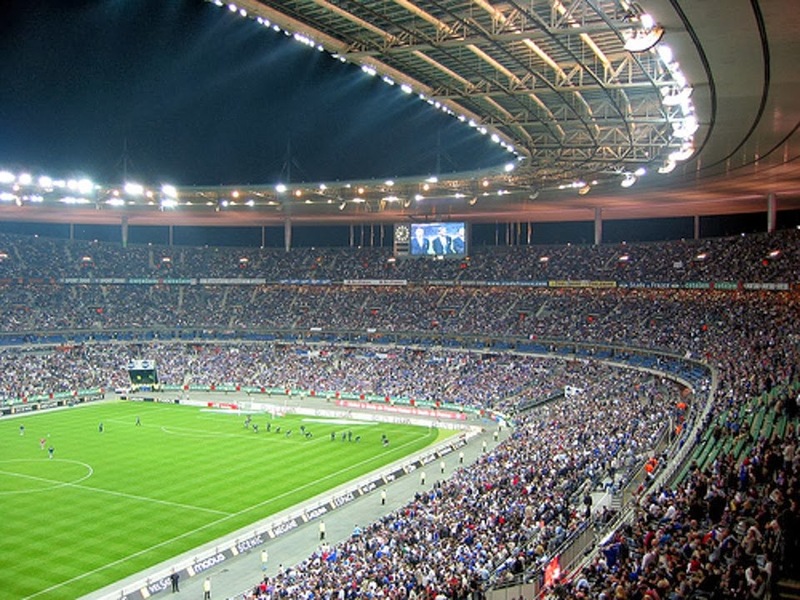 And just a few hundred yards from the Cathedral is the Stade de France. We do indeed have tickets to the Ireland/France rugby match – the final of the 2014 Six Nations tournament. So I’m wearing this: spill beer on me or whatever, I will be ready! Sunday morning, I might make it down the hill to the Boulevard St. Michel, and crash into a cafe… This will certainly be the worst jet-lag day, coupled with the excitement of the day before. Leisure and people-watching is the order of the day. So a cushy sweatshirt dress, a scarf, and some flat shoes will be perfect! When we head out Monday morning, we’ll give the staff a handful of pieces of laundry… Planning to have laundry done is one of the best ways to both minimize packing and give yourself some flexibility if the weather changes. Monday, we’ll probably not go terribly far out of our neighborhood – I love to visit the Musee Cluny. 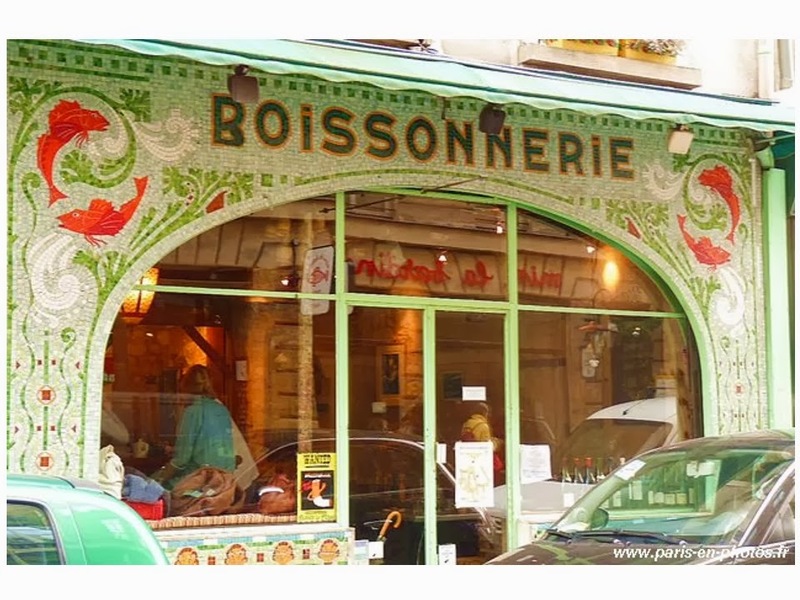 And we’re going to try to get into Fish, La Boissonnerie, for lunch. A wonderful restaurant, and it will then give us the opportunity to wander around St. Germain for a while. 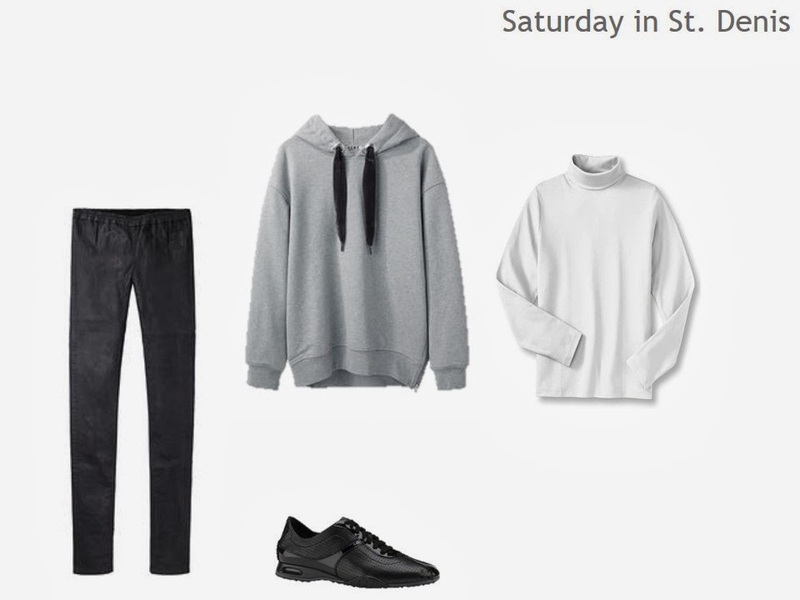 A sheer sweater with a tank underneath, some skirted leggings, and accessories… Since this trip is for indulging the inner tomboy, I’m going to wear sweatshirt-inspired clothes, and my athletic shoes, as often as possible. In a few days I’ll figure out what else we’re going to be doing while we’re in Paris, and I’ll be able to finalize my packing plan! 1. Laduree – for macaroons and amazing desserts in the wonderful chinese-style tea room. Hmmmm…. a theme seems to be developing here………. Janice- as always, your personal choices are stylish, yet practical. You disprove the idea that comfortable can't be stylish, which reminds me of a post from A Femme…. that talked about what some people wear to be comfortable on flights. It was a lively discussion. You mentioned bringing a serum. Would you mind sharing what you use? I cannot seem to find one that makes a difference. I have a smile on my faces imagining your travel preparations. Honestly, I am always pleasantly surprised at airports. 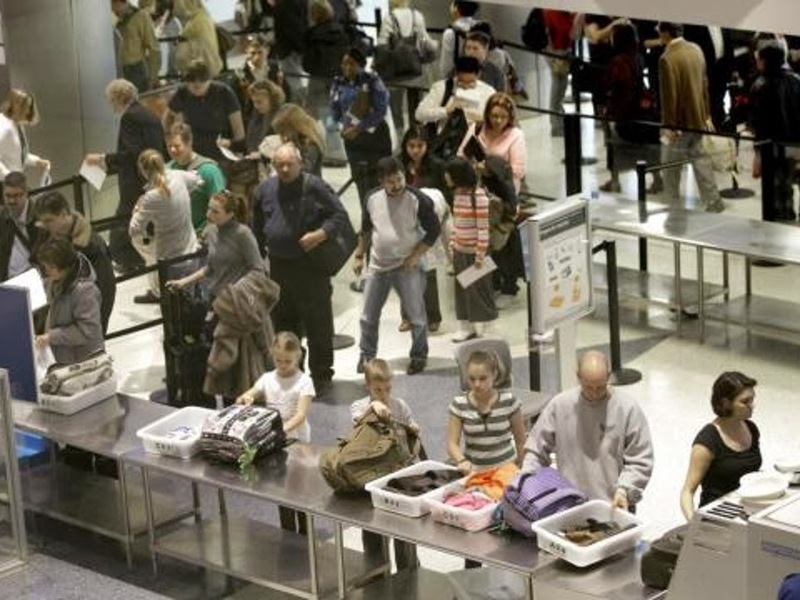 The long lines dissolve faster than anticipated, security personnel doing their job efficiently, and it really moves pretty efficiently all things considered. The last few times I travelled to Germany I splurged on a business class ticket and I knew that good wine and a comfortable seat were awaiting me. :)) Are you still in contact with the inspiration for your files? So funny that you are attracted by Blvd St. Michel – and four-lane traffic!! We went to St Denis on our last trip. It is beautiful! We were also there on a market day and were caught in a crush of people and could not escape. We were washed to a bakery selling merguez sandwiches outside and bought some. They were delicious! How exciting! BTW, if you like Moz, you may enjoy Ambiance (by Urban Apps). It's like Moz, but has more sounds and you can combine them — like gulls and crashing waves. Ambiance is available on both Google Play and the Apple App store. Love this post, and not just because you mention and show 2 of my favorites, the Cluny and St. Denis. It was good to see some casual clothes for a trip and for you to mention doing laundry so not so many items have to be packed. I, once again, recommended the VF to someone who can't imagine traveling with the luggage you show, so the timing couldn't be better. I firmly believe that for many people, a list won't do. They gotta see it to believe it. Do squeeze a thermal top/vest into your bag. It is damp at the moment and feels colder than the weather forecast might suggest. What a fine packing post. I'm always a little sad when I see posts about exotic locations that are out of my budget for the moment. I try to remind myself that people come here for vacation too. It's too easy to want what you can't have rather than enjoy your blessings in the moment. 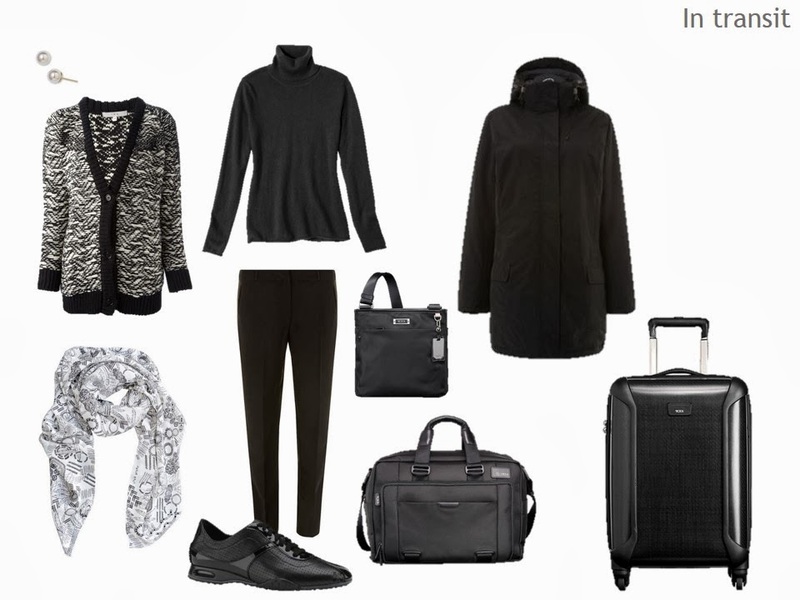 I think you will look smashing in your travel wardrobe, but I have to laugh, living in the mountains as I do, when I travel to a large city I relish the chance to bring all the best stuff in my closet. You, on the other hand, living in Chicago, are choosing to pack your most casual (yet chic) and comfortable clothes. I have to say that the black coat is a great choice. We were in Paris 14 months ago and when the rain started virtually every Parisian pulled out a black rain coat. In my dark slate blue rain coat (the only pack-able weight water proof coat I own), I felt like I might as well have been wearing neon green! LOL!! So excited for you! Looking forward to your trip stories! Delightful! My favorite cure for jet lag is a visit to the hammam at the Mosque of Paris- http://www.la-mosquee.com/htmlfr/hammamfr.htm and not far from you. I love the Place St. Germain. We usually stay in the Rue Jacob. Have a magnificent time! I find it difficult to imagine that a 1 week trip should include doing laundry, other than maybe hand washing an item in the bathroom sink. Maybe I don't have sufficient standards of cleanliness. LOL. I can easily wear a pair of slacks more than once before laundering. if someone did indeed spill beer on my clothes, yes, I would have to deal with it then, and I might have to send it out but I don't think I would leave home planning to do so. Maybe it has something to do with the fact that I don't really like dry-cleaning chemicals and I wash by hand most items that others may send out. Also, a lot of items can go for a long time with a good airing out, spot cleaning and brushing. I am also very fond of steaming my clothes at home. It disinfects clothes that are not actually dirty.